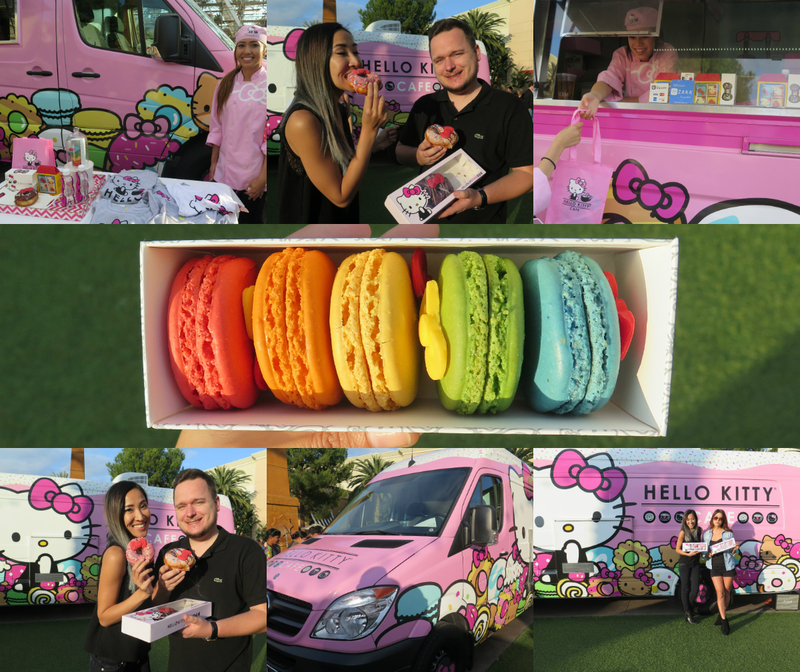 The Hello Kitty Cafe truck posted up at the Irvine Spectrum Center on Saturday May 23, 2015 offering merchandise and treats featuring our favorite kitty character. Although when I stopped by, the truck had sold out of it popular strawberry lemonade, I and my friends were able to purchase chocolate bow-adorned macarons and donuts. The treats costed a pretty penny but the truck doesn&apos;t frequently stop in Irvine; and we at least did not have to wait for over an hour to get to the front of the truck. 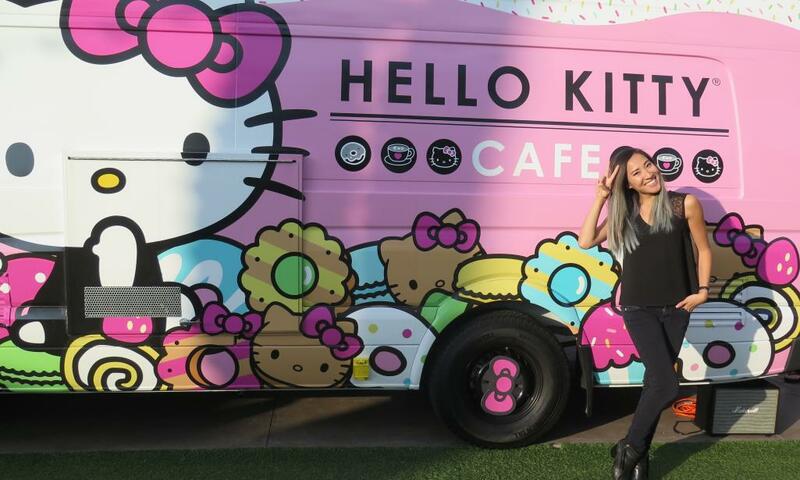 Visit the Hello Kitty Cafe website or follow them on Facebook or Instagram to see where their next stop will be. Also, if you&apos;ve visited the Irvine Spectrum or driven by within the last couple of months, you may have noticed that the Giant Wheel is under construction and recently was testing out an exciting light display. The Giant Wheel will be officially unveiled soon with an exciting line up of programming, check back on the Irvine Spectrum Center Events calendar for more! Also check out Destination Irvine&apos;s event calendar for fun things to do in the area!